This is contained in a press statement signed by Mr James Ornguga, APC’s acting State Publicity Secretary, and made available to the News Agency of Nigeria (NAN) on Saturday in Makurdi. The All Progressives Congress (APC) in Benue said Gov. Samuel Ortom was already panicky following the defection of over 3,000 supporters of People’s Democratic Party (PDP) to APC in Guma, his Local Government Area. 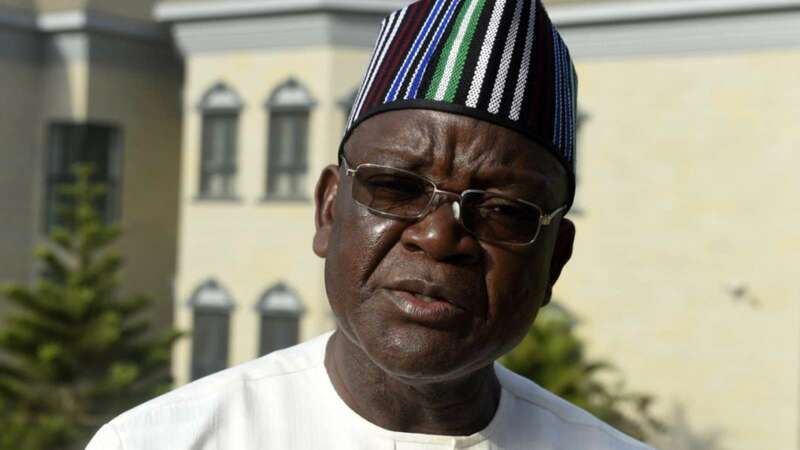 NAN reports that the Ortom administration had earlier accused the Benue APC of staging a political campaign at one of the Internally Displaced Persons (IDPs) camp in Daudu where they had deceived the IDPs to gather and collect relief materials. “We understand that the duo of Akume and Jime lied to the displaced persons that they were visiting the camp to give them relief materials, only for the IDPs to discover that it was a campaign rally,” Akase, Ortom’s spokesperson said. But the APC in its reaction to the statement said the accusation was “infantile to have emanated from a sitting governor” and described it as not only “shameful but a display of immaturity from a panicky government”. “We read a comical statement from the Chief Press Secretary to the Governor of Benue State, Mr Terver Akase, wherein he alleged that our party had organized the IDPs for distribution of relief materials and ended up tagging same as a “campaign rally”. According to the statement, Benue APC on Oct. 26 organized a defection ceremony at Daudu, Guma where a former Speaker of the state, Mr Stephen Tsav, and over 3,000 PDP members from Nyiev, Mbagwen and Mbawa defected to APC. “Everyone who witnessed that event would be forced to commiserate with the Benue State Governor since it marked the end of PDP in Guma, his home local government. Ornguga in the statement said the APC governorship candidate, Mr Emmanuel Jime, has overtime made serious efforts in finding “national” lasting solutions to the farmers/herders crisis, adding that he had also genuinely supported the IDPs. “The CPS could not even recall Jime’s superlative visit to IDPs early this year where he donated genuine relief materials to the displaced and not just to hold a mere dance session with them as it has become Gov Ortom’s cosmetic displays. “Well, a government that cannot ascertain its actual wage bill in four years cannot pay attention to activities of the people it claims to govern. The party further challenged the governor to showcase his scorecard, stop blaming past governors for his failures and commission projects if they exist. “Yes, the APC’s gathering yesterday would not have been complete without a mention of the many failures of the current Benue State Government which by all human parameters is the worst in the history of the state. “Till today, Benue IDPs are in the worst of conditions despite the huge security vote the state harnesses. We call on the governor and his team not to activate the panic button just yet as more defections will hit his “new-old party” in the weeks ahead,” the statement added.